Various woods have played extremely important roles in horology. They frame and sculpt time in space and have provided the surfaces where watchmakers have created their masterpieces. Historically, antique clock cases have been expertly crafted in walnuts, cherry, maple, beech, oaks, mahogany, and burls. De Carle's Watch & Clock Encyclopedia (3rd edition, 1983) lists 65 "Woods for Clock Cases" each with its Name, Where Grown, Other Names, and Description. As John Biggs has written in his book, Marie Antoinette's Watch (Ray Bridge Press, 2015), in master French watchmakers' workshops such as Breguet, most watch benches were made of mahogany or birch. "Cedar was forbidden as, one watchmaker noted, 'it exudes a sort of gum which form a sticky deposit on work and tools, and rapidly spoils any lubricating oil that may be exposed to it.' "
What got me going on this post was not a watch but an outdoor wood sculpture based on an expressive interpretation of man's mark from a bygone time, a petroglyph. This August I saw FootPrint in Green, a rambling outdoor willow stick sculpture created by Patrick Dougherty. It was constructed by local college and community volunteers in Green Mountain Falls, Colorado in June 2016. The installation's "sticks" came from willow trees, branches, and twigs gathered along the banks of Fountain Creek which runs through the small village. The petroglyph design on which it is based "is meant to represent family in the ancient Native American tradition of creating art from rock carvings." FootPrint in Green, Green Mountain Falls, Colorado. August 11, 2016. Image rights assigned to P. Dougherty by the author. Petroglyph photograph at the GMF site that served as the installation's inspirational footprint.Photographed August 11, 2016. © the author. During the past thirty years, Patrick Dougherty has created over 250 environmental works using tree saplings as his sculptural tour de force. He is internationally known and acclaimed for his in situ works. Now travel with me about 1,750 miles East/Northeast from GMF and you'll arrive at the Analog Watch Company Showroom in Philadelphia. What's so special about this watch maker? 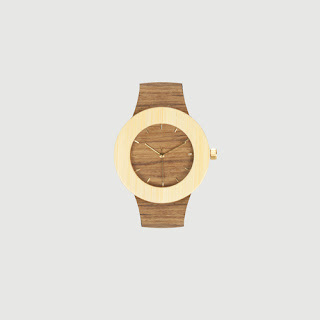 The company's wood wrist watch dials and strap designs have a sculptural affinity with Patrick Dougherty's site works. The Analog Watch Company has an inspirational backstory. It begins with its founder Lorenzo Buffa back in 2012-2013. During that time period, Buffa was an industrial engineering student at the University of the Arts in Philadelphia who gravitated toward woodworking courses. 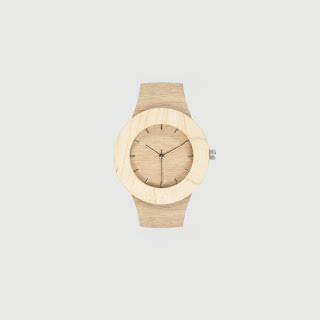 His design thesis project was for the Carpenter Collection -- wristwatches with dials and bands from wood that would be "gender neutral and iconic." To fund his project, he launched a Kickstarter Campaign. By October 2013, he had surpassed his goal of raising $10,000 and reached $75,000! What followed was rigorous prototyping of dials and bands. Analog Watch Company's Prototyping Experiments for Dial Case Design. Image from the company's website. Analog Watch Company's Prototyping Experiments for Strap Design. Image from the company's website. Then came manufacturing, sourcing and product placement in various outlets, many of them in an impressive number of museum shops at home and abroad. I'm proud to say that this group includes the National Association of Watch and Clock Collectors Museum Store -- an organization where I am a member. 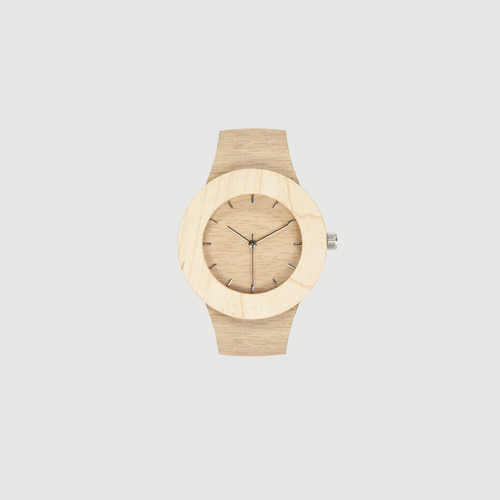 One of the best interviews with Boffa documenting his design philosophy and product development can be found in Core77's post, Analog Watch Co. Liberates the Wooden Band from Clunky Links: Kickstart the Carpenter Collection / Q&A with Founder Lorenzo Buffa. Two of my personal favorites picked from the company's digital gallery are the Silverheart & Maple and Teak & Bamboo pieces. Analog Watch Company's Silverheart & Maple model from the Carpenter Collection. Image from the company's website. 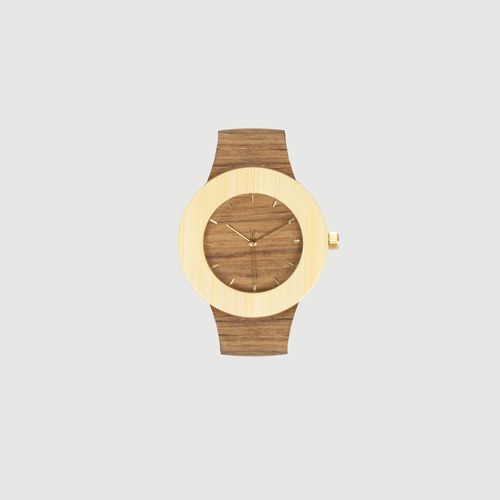 Analog Watch Company's Teak and Bamboo model from the Carpenter Collection. Image from the company's website. For each piece, branding is "held to an invisible minimum" - so refreshing in today's overloaded, logo landscape. The all natural woods from which they are made speak for the company's singular design ethos -- a passion for nature. They are site installations for the wrist. Ultimately, this expressive fashioning of wood in time and place is what in my mind makes Analog's Carpenter Collection kindred sculptural companions to Patrick Dougherty's works. My Related Posts: Dials Too Can Get the Blues. September 23, 2015.